A few years ago there was a survey of celebrity ladies in a men’s style magazine. To the question ‘Who would you most like to marry?’ men unanimously went for Weisz. At the time she was single and responded saying ‘So I’m the most marriable but I’m not married?’ Perhaps because it took an alpha, Bond-esque male for her to say yes. Damn. Anyway, my slightly convoluted point was to illustrate how the thinking man holds her in high regard. She’s one of those actresses that flies slightly under the radar at times. Whilst obviously stunningly beautiful she chooses her roles intelligently, mixing blockbusters with more considered, indie projects. Not every actress has the skill, star appeal and versatility to pick and choose roles in this manner. I recently posted a list of a thinking man’s top actresses and shamefully didn’t include her. This post, I hope, will make amends. Below is my pick of her five best performances. You’ve got to hand it to Weisz, she’s maturing like a good single malt whisky (better than a fine wine in my opinion). Last year she gave us one of her finest performances to date as Hester, the lady at the centre of a love triangle, in an adaptation of Terrence Rattigan’s 1955 play. After a string of average action blockbusters, she fought to get this role and it’s clear she had desire to play the part with conviction. Her performance as Amnesty activist Tessa was accessible and compelling and the results won her an Oscar. Choosing to work with up-and-coming indie Director and partner at the time, Darren Aranofsky, her performance is raw, affecting and heartfelt. I wonder – in an alternate universe – what she’d have been like playing Nina instead of Natalie Portman in Aranofsky’s Black Swan. Would she have bagged an Oscar as Portman did? After success of indie noir thriller Brick, Director Rian Johnson made this film, echoing Wes Anderson’s style. It didn’t make much on release but gained a cult following afterwards. 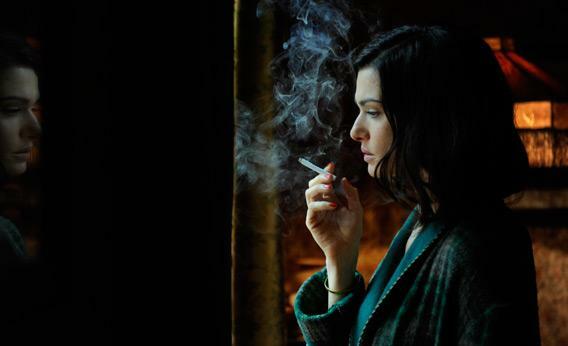 Weisz is great in it – quirky, bubbly and loveable. Again, her desire to work with up-and-coming Directors must have been a factor – Johnson followed this with critically acclaimed sci-fi Looper. Playing a budding con artist, she had an interesting chemistry with Ed Burns. Seductive, sultry, hard-to-read – the perfect foil to Ed Burns and his smug approach to conning. This film really reminds me of her timeless beauty – the perfect femme fatale in any era. Honourable mentions should go to The Mummy (1999), About a Boy (2002) and The Bourne Legacy (2012). All considerably lifted by her presence. The Mummy, in particular, launched the action side of her career, putting her on the map for many people. Plus she gets added kudos for making Brendan Fraser bearable. So there’s my list. 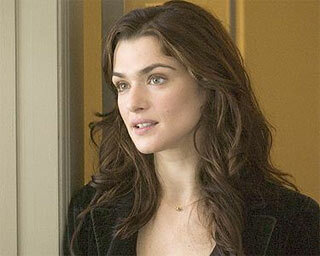 If you’ve not seen all the ones in my top 5, seek them out and watch them soon, particularly if you’re a Weisz fan. If you’re not, you’ll soon become one I promise you. I’ll leave you with the photo-shoot that accompanied the survey in the men’s style magazine I mentioned at the start of this post. Enjoy!